I was at a BBQ last month and I posed the question to all of my friends “What is the app you use most often?” 3 out of the 6 people said “8tracks“. Intrigued I got them to explain what this app was about and why they loved it so much. I downloaded it the next day and fell in love instantly! There is nothing that I love more in this world than music, other than actual human beings in my life of course! But this app gives me something that I haven’t found in other apps yet; the ability to type in descriptor words and have playlists suggested. I also love the fact that I am exposed to so many different artists and up-and-comers that I wouldn’t normally hear on the traditional radio or through other radio apps. So if I feel like listening to something “sleepy” and “bedtime”, No problem! 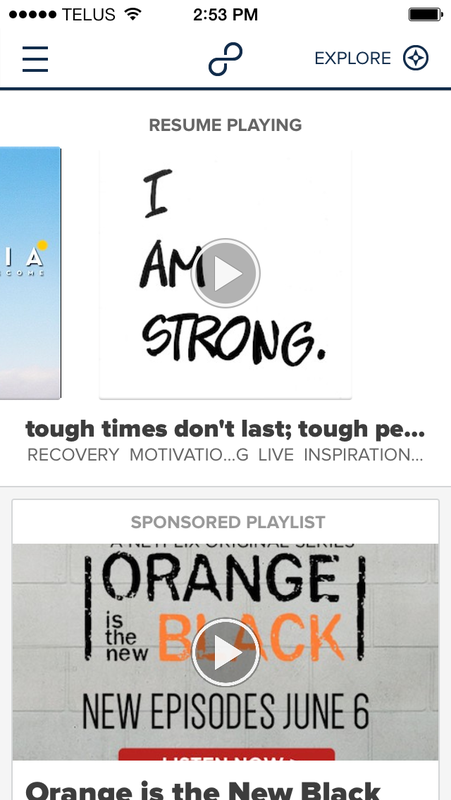 8tracks has something to suggest to me. As I am writing this blog I explored playlists tagged with “Inspirational” and “motivational”and am listening to a great mix of songs from an album called “Tough times don’t last; tough people do”. 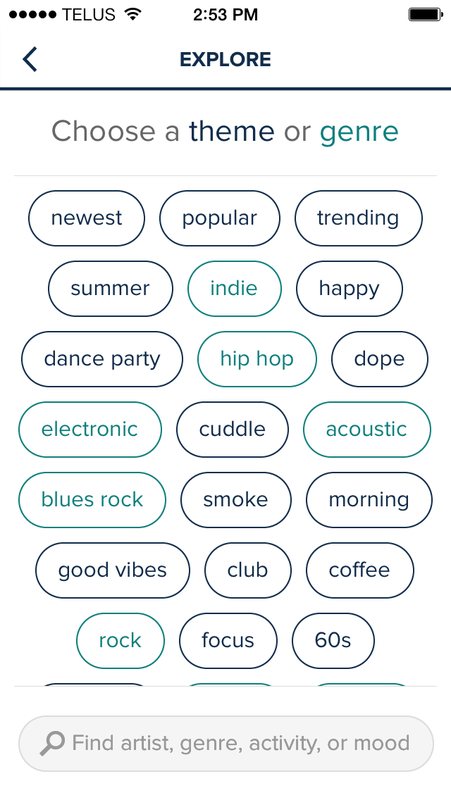 “8tracks is internet radio created by people, not algorithms.” Users make online mixtapes with 8 or more tracks. You can then customize your album by adding a title, cover art and tags. And what would this app be without the ability to share your awesome mixtape with your friends? Your mixtape will also be shared with the 8tracks audience. If you want to just listen to the music you can do so by searching for playlists “for any mood or occasion, from every genre and country”. The best thing about this app is finding playlists that exactly match your mood. The playlist will also tell you how long the playlist is in minutes and how many songs the playlist has. This is especially nice if you are doing something for a set amount of time like going for a run for 45 minutes or driving in the car for 60 minutes, etc. Once your playlist has played all of the way through you will see a list of all of the songs played, you won’t see a list beforehand though due to 8tracks’ music license. You also can’t replay a song once it has been played or skip through too many songs. This doesn’t bother me too much though because if I want to hear a song again I will just play the playlist again and it will eventually play again. This inability to select songs and replay favourites has also forced me to be more open to new music, genres, etc. I am always intrigued to learn about the team that built my favourite apps and through their website I found out that 8tracks was founded by David Porter in 2008 and developed by a small team. Congrats to your team on a very successful music app that i’m sure brings a lot of joy! 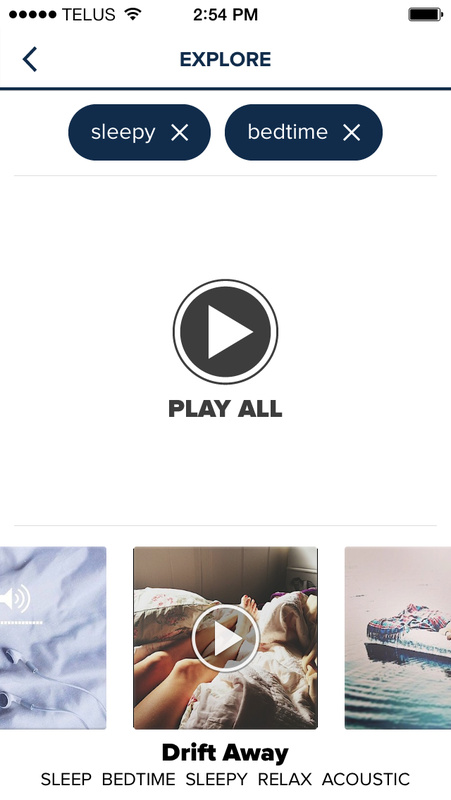 You can download 8tracks FREE on the Apple App Store HERE or on the Windows Store HERE.